Paint is absolutely the easiest and least expensive way to change a room. Want proof? Check out this amazing chevron painted wall from Lauren at A Commoner’s Castle. 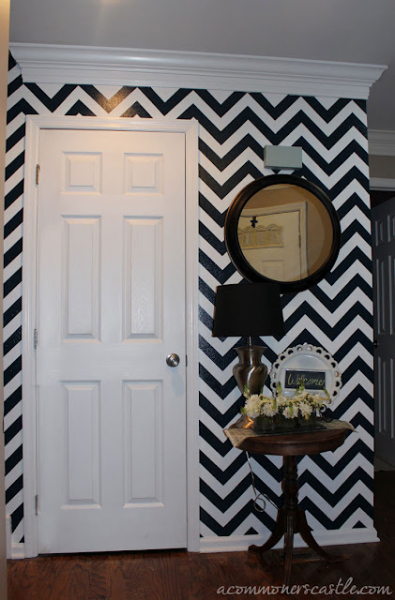 Lauren even shares a step-by-step tutorial on how to create your own chevron wall at A Commoner’s Castle. The process looks time-consuming, but getting that kind of “wow” factor for so little money makes it worth it! Kristi! Thank’s SO SO much for featuring us on your blog! I was super excited to see it! We have lots to do around our house, so there are tons more fun projects in the works. 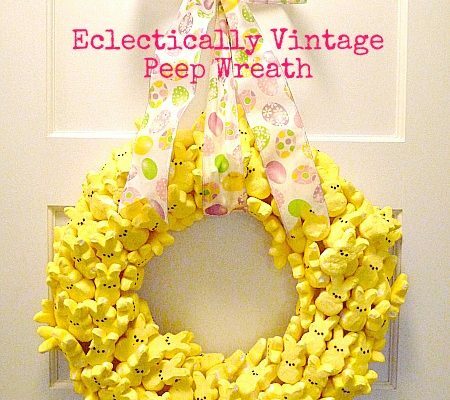 I would love for you to stop by and check them out! 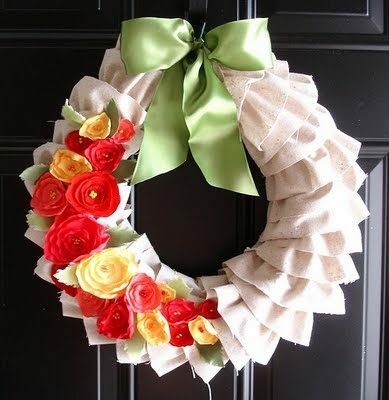 Great designs beside your door, makes your home more relaxing to eyes, and very applicable to the furniture. I love this paint application! So bold! Thanks for sharing.